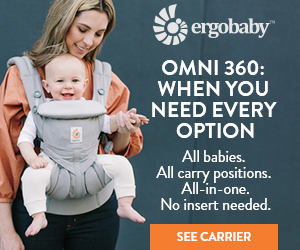 As a Mom to 3 babies, 3 and under…I really appreciate high quality WAHM shops. 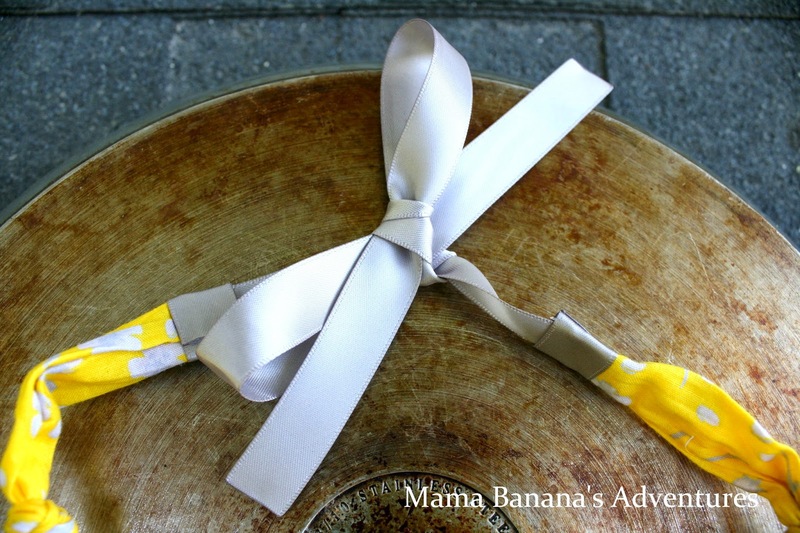 When I was starting our cloth diaper journey my budget was small. I feared that purchasing something from a small hand-made business would have quality issues, or have poor customer service compared to bigger businesses. The total opposite is true for these shops. You are speaking directly with the owner, artist and salesperson. You get personal responses and know that these items were hand made with quality, care and love! After watching the cloth market, and having experience with brands personally…I love sharing high quality hand-made shops with you!! This feature included in #CDLocal2Me Giveaway Hop is about shops local to bloggers. Because bloggers are PR experts, and boosting small businesses is not only a socially ethical, but also a really fun venture!! The shops featured here are The Purple Unicorn Clothing Store, Little Sunshines, and Paper Vs Glue. All 3 shops are located in Pennsylvania and product USA Hand Crafted items you’ll want to have! Paper Vs Glue is a truly one-of-a-kind shop! These hand made vintage cigar boxes are crafted with often vintage and hard to find pages depicting vintage characters and themes! I saw a Sesame Street Box a few weeks ago and it was gone in a flash! So if there is one you see…get it because there won’t be 2 items that are exactly the same. She has everything from pinup girls to a line of Vintage Children’s Book boxes. In addition to this fantastic shop Samantha, a dear friend of mine, she’s creating Hook Vs Yarn and she posts the most uplifting photos of her Pug wearing ties, hats and even a crochet crown!! 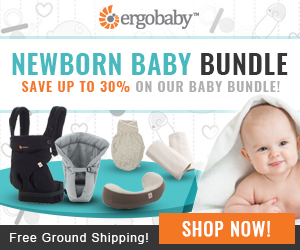 Weather you’re choosing a vintage box to hold recipes, headbands and bows, or your teething necklace(s)…know that each item is specially created. In addition to creating these fantastic items, Sam is working on educating the population on some medical challenges she has recently encountered. Follow her on youtube for video updates, and videos showing a brief look into her life. She is definitely one artist you’ll want to follow! 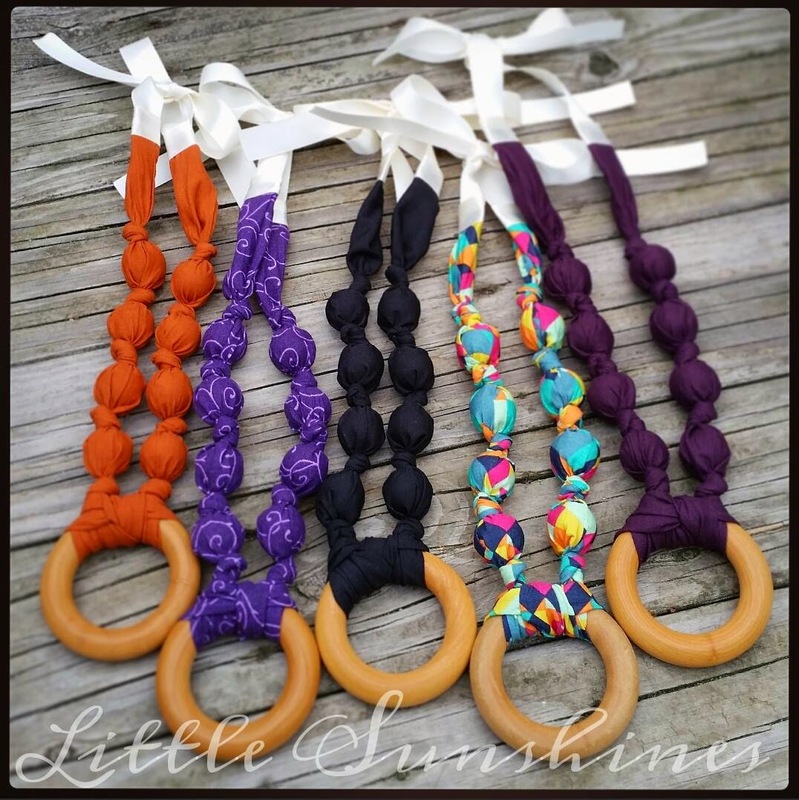 A teething necklace is something I wish I had with my first baby! After having babies, and a few broken necklaces…I discovered that wearing jewelry was going to be re-thought. 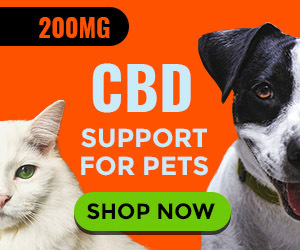 I now need jewelry that I like, can be chewed and pulled on, and is safe for baby. 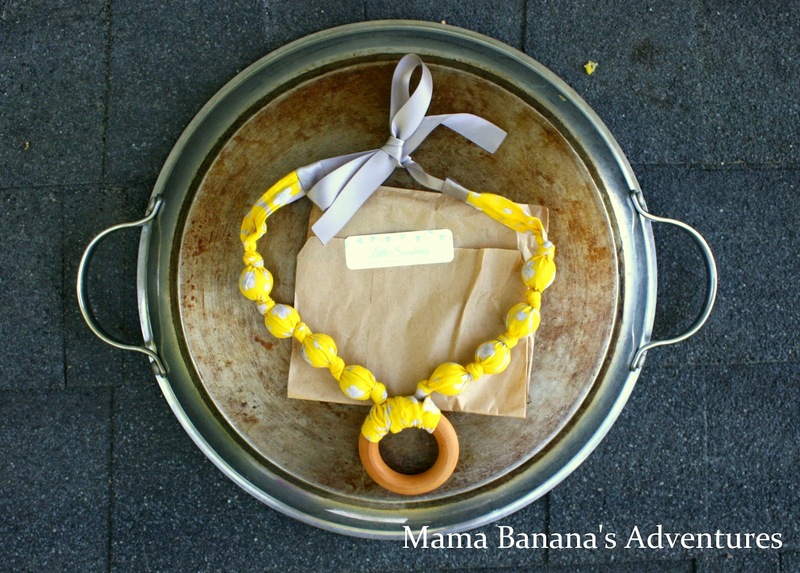 We purchased our first teething necklace from Little Sunshines and I have been so happy with it! If you sift through my blog and instagram photos you’ll see it in many of the pictures. For those of you who babywear and deal with a hair-pulling baby a necklace is a great way to reduce hair pulling and keep baby happy. Little Sunshines is a shop operating out of Dallas PA and like me the Mom has 3 beautiful baby boys! 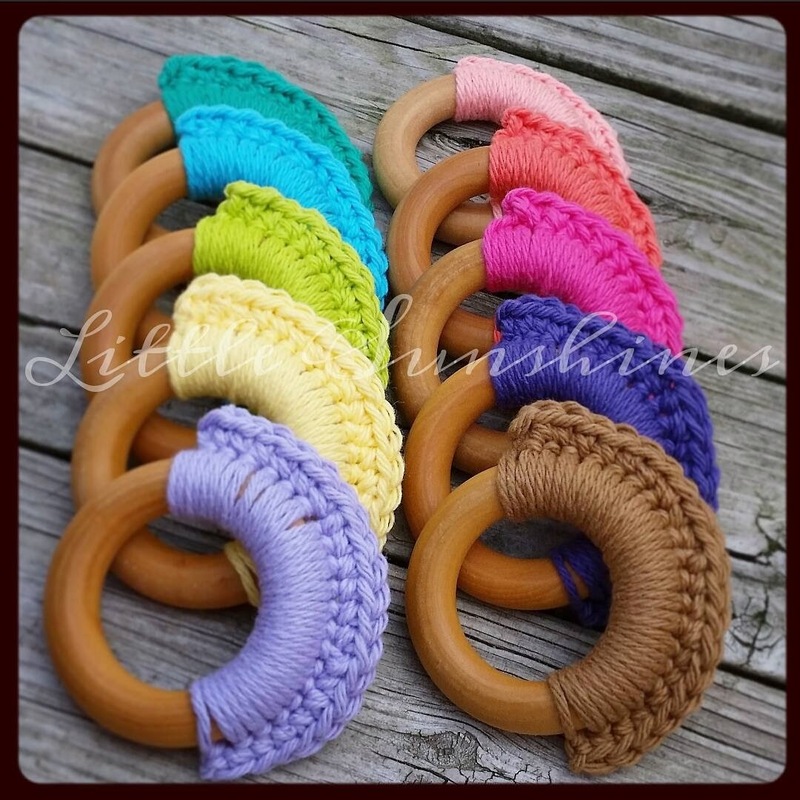 The hand made necklaces are composed of 100% cotton fabrics, and natural wood beads and a teething ring coated with organic bees wax and olive oil. My little one certainly enjoys chewing on his! 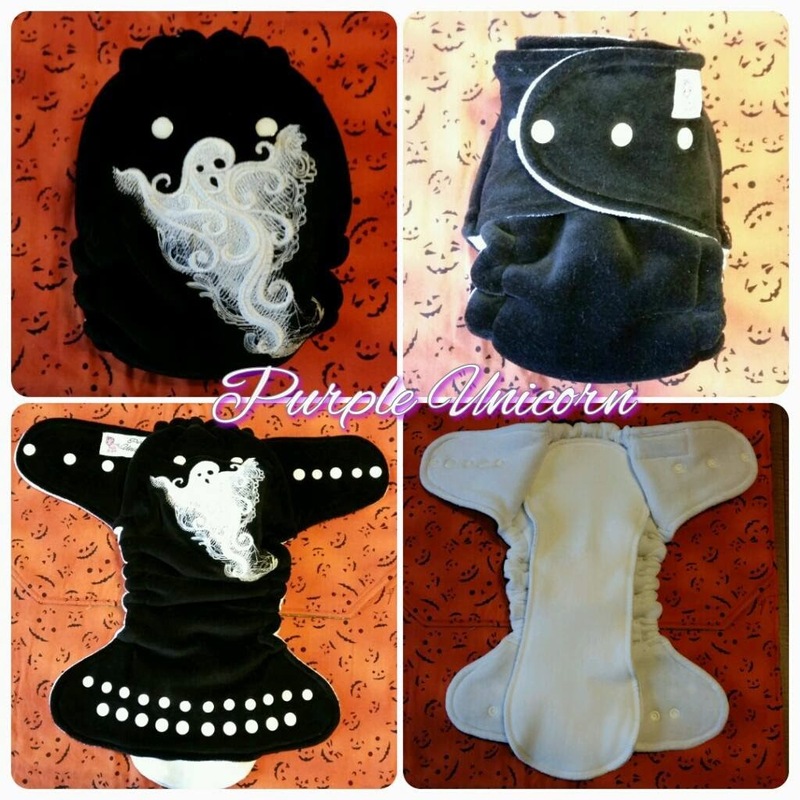 I discovered Purple Unicorn at a local breastfeeding event. I was thrilled and also a little surprised to find someone sewing high quality hybrid fitted diapers and so close to my home! 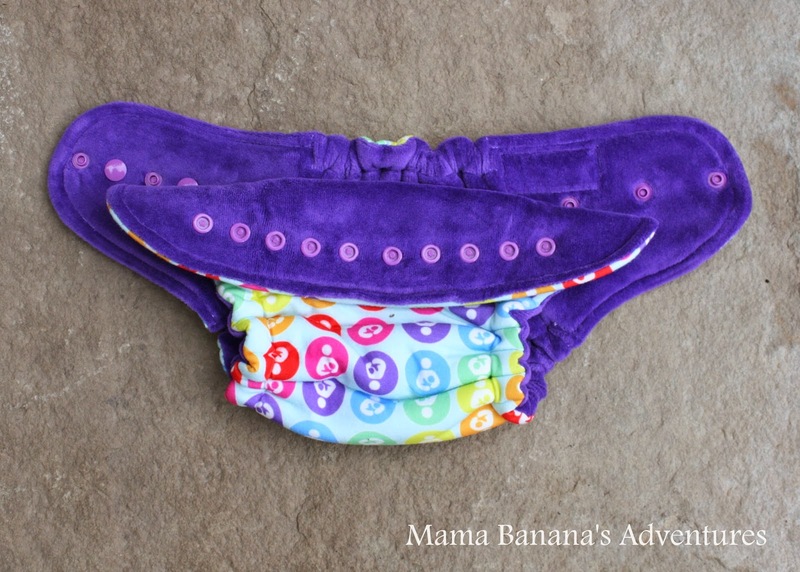 I had to feature the shop in my WAHM Spotlight (read the company review here) and I regularly recommend her diapers to other Moms. 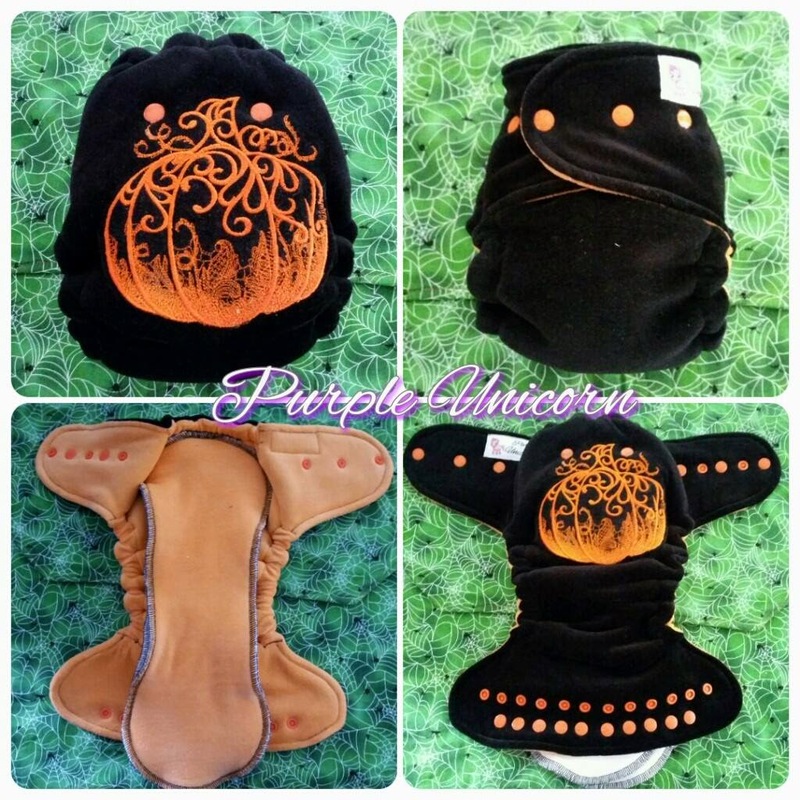 Purple Unicorn Hybrid Fitteds are made from a cotton jersey knit outer and the pattern choices are great! These hybrid fitteds are one size (OS) and feature a hidden layer of poly-fleece, a cotton velour lining (purple here), and a 5-layer petal style organic bamboo insert topped with cotton velour. 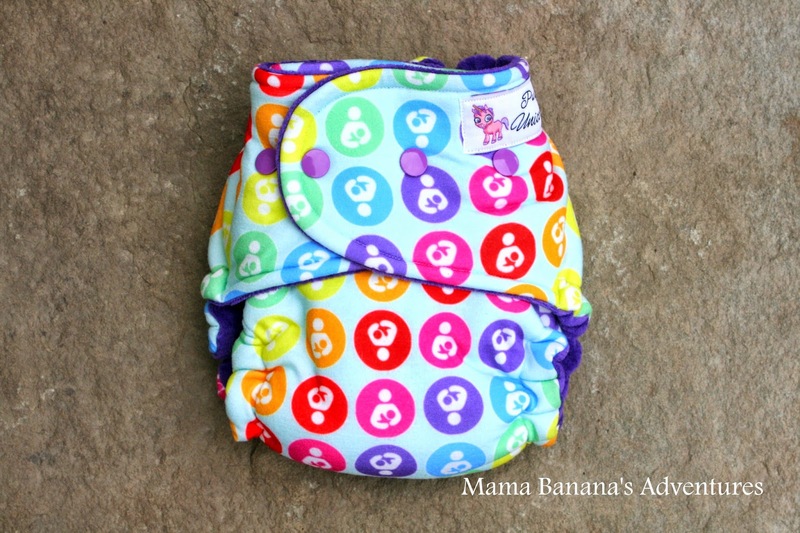 The bamboo is super absorbent and unlike Wind Pro which has a higher repel rate, poly-fleece repels and allows liquid to pass to help with an even distribution of moisture throughout the diaper. In really exciting news, master seamstress Elizabeth from Purple Unicorn Diapers is now doing embroidery!! Yes, as a close friend would say…Amazeballs. Here’s a sample of her initial work! Make sure to join her BST page for a heads up about new fabrics, custom orders or general chatter from a great group of cloth diapering Moms. Thank you for stopping by and please show some love to these wonderful shops!! Now for the giveaway! One lucky US winner will take home a teething necklace, hand made vintage cigar box, and $15 shop credit to Purple Unicorn!! 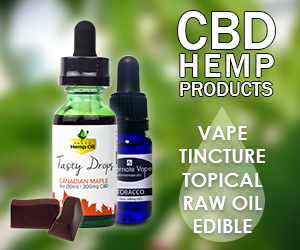 Over 18 Winner will be contacted via e-mail and have 48 hours to respond before a new winner is drawn. No spam accounts please. Good luck!